Between 1997 and 2011 Flamborough Head organized 15 editions of ProgFarm; a progressive rock festival staged at “De Harmsdobbe”, Bakkeveen. At our tenth anniversary edition on Saturday November 4, 2006, our sound engineer Peter Verkerk recorded our gig but we never released these recordings. A few months later we gigged at the A38 in Budapest, Hungary and this show was also recorded so we decided to use these recordings instead for our first live album. 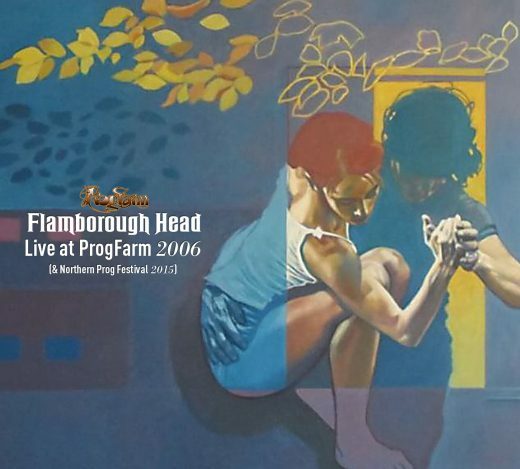 Twenty years after the first edition of ProgFarm (1997) OSKAR will release Flamborough Head – Live at ProgFarm 2006 (& Northern Prog Festival 2015) as a reminder of our fine festival. As a bonus disc our gig at The Northern Prog Festival 2015 is included. This double live cd will be available November 2017.